Manufacturers & Suppliers of Stainless Steel 409 Plates, UNS S40900 Hot rolled plate, DIN 1.4512 Chequered Plates in Mumbai. Stainless Steel 409 Mirror Finish Plates, Ferrtic Stainless Steel 409 Plates, SS 409 HR Plates Exporter in India, Stainless Steel S40900 Sheets, SS 409 Polished Plates, SS 409 Chequered Plate, SS 409 Coils, SS 409 Diamond Plate, SS 409 Export Polish Plates. Jayesh Metal is the leading manufacturer, supplier and exporter of stainless steel 409 plates that are made from the high and excellent quality of raw material. 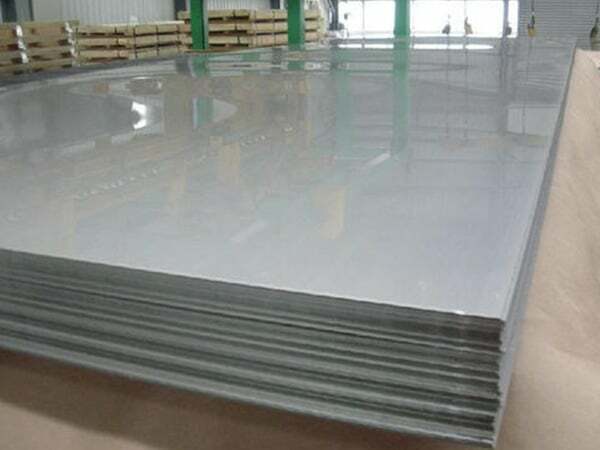 Grade 409 stainless steel plates consist of 11% chromium that is used for making a passive surface film which offers stainless steel corrosion resistance property. These plates can easily withstand in extreme environment and temperature and offer the best performance. These plates are designed in both national and international standards and specifications. These plates are long lasting and can easily fit in any type of length. These stainless steel plates include ASTM A240 and ASME SA240 standard and size their size ranges from 5mm to 150mm. The width of these plates varies from 1000mm/ 1219mm/ 1250mm and 2000mm. Moreover, the length of these stainless steel plates varies from 2000mm, 2440mm, 3000mm and more. These plates are hot rolled and available in different specifications and sizes as per the demand and requirement of customers. To check the quality and durability of stainless steel 409 plates there are various tests and inspections done on it. These tests include flaring test, hardness test, raw material test, and third-party inspection. All these inspection and tests are done under the guidance and supervision of quality experts and inspection agencies. When these plates are ready for the delivery these plates are packed in the high quality of packaging material so as to prevent rusting and other unconditional damages until its last stage of production. Hence, you can buy these stainless steel plates in different specifications and sizes at an affordable price. 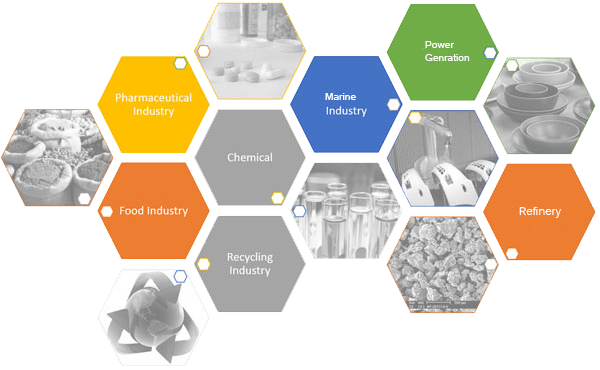 stainless steel 409 plate price list, Stainless steel 409 plates exporter in mumbai, ss 409 sheet price list, astm a240 ss 409 plates exporter, ss 409 plate price list, stainless steel 409 cold rolled sheet distributors, grade 409 ss cold rolled plate supplier, ss 409 plates price india, Stainless steel 409 sheet supplier in mumbai, ss 409 coils price list, ss 409 hot rolled plates dealers, stainless steel cold rolled coils supplier, stainless steel 409 plates exporter in india, 26 gauge stainless steel plates, stainless steel 409 plate dealers, 409 plates specification, 409 stainless steel plate thickness chart, 409 stainless steel plate sizes, 5mm stainless steel 409 plate, 409 stainless steel plate cut to size, 6mm stainless steel 409 plate, 15mm stainless steel 409 plate, ss 409 hot rolled plates dealers in chennai , stainless steel cold rolled coils supplier in kapurthala. Libya, Morocco, Kazakhstan, Brazil, Israel, Macau, Lithuania, Kenya, Norway, Bangladesh, Ghana, Sri Lanka, Iran, Iran, Mexico, China, Germany, Belarus, Czech Republic, Hong Kong, Indonesia, Canada, Hungary, Nigeria, Bhutan, Romania, Chile, Puerto Rico, Lebanon, South Korea, Spain, Finland, Portugal, Ukraine, Thailand, Kuwait, Switzerland, Colombia, Netherlands, Poland, Croatia, Belgium, Zimbabwe, Denmark, Philippines, Saudi Arabia, Gambia, Yemen, Gabon, New Zealand, Austria, United States, Chile, Jordan, South Africa, Australia, Qatar, Angola, Mongolia, Malaysia, Namibia, Mexico, United Kingdom, Algeria, Serbia, Russia, Peru, India, Afghanistan, Costa Rica, Turkey, Azerbaijan, Vietnam, United Arab Emirates, Iraq, Singapore, Taiwan, Poland, Oman, Egypt, France, Bulgaria, Ireland, Trinidad & Tobago,Tunisia, Nigeria, Argentina, Japan, Bahrain, Sweden, Italy, Ecuador, Pakistan, Venezuela, Bolivia, Estonia, Slovakia, Greece, Nepal, Tibet. Ankara, Seoul, Istanbul, Toronto, La Victoria, Singapore, Tehran, Baroda, Ahvaz, Nagpur, Howrah, Algiers, Ranchi, Riyadh, New Delhi, Jakarta, Pune, Los Angeles, Courbevoie, Bogota, Ahmedabad, Vadodara, Karachi, Jaipur, Dubai, Kolkata, Vung Tau, Gurgaon, Thiruvananthapuram, Busan, Secunderabad, Petaling Jaya, Dammam, Lahore, London, Surat, Colombo, Ludhiana, Madrid, Coimbatore, Geoje-si, Doha, Houston, Rajkot, Al Jubail, Al Khobar, Hong Kong, Kuwait City, Cairo, Lagos, Caracas, Calgary, Moscow, Mumbai, Mexico City, Melbourne, Santiago, Muscat, Perth, Montreal, Chandigarh, Thane, Kuala Lumpur, Aberdeen, Gimhae-si, Noida, Ulsan, Dallas, Abu Dhabi, Edmonton, Chiyoda, New York, Ernakulam, Sydney, Jamshedpur, Jeddah, Atyrau, Granada, Faridabad, Navi Mumbai, Sharjah, Indore, Manama, Bangkok, Port-of-Spain, Brisbane, Hyderabad, Bengaluru, Rio de Janeiro, Milan, Nashik, Visakhapatnam, Ho Chi Minh City, Chennai, Pimpri-Chinchwad, Hanoi, Haryana, Bhopal, Kanpur, Kapurthala.